Summer is winding down and the kids are heading back to school, but the heat is still here. 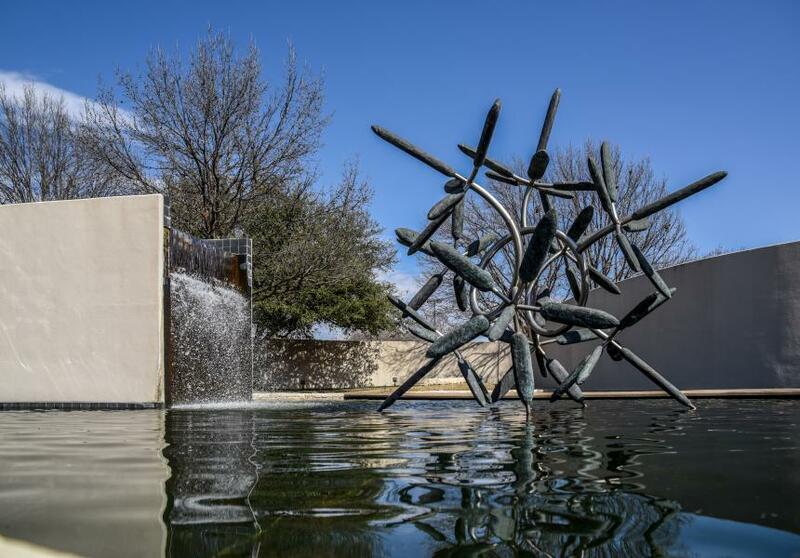 We’ve compiled a list of Irving things to do in August, from escaping the heat with poolside movies to enjoying theater, music, trivia, and more. August 2: Make the most of the summer by creating art with JumpstART Stories & Art at the Irving Arts Center. The event is free and all supplies are provided, so take a nice break from the heat and indulge your artistic side. August 3: Families will appreciate the chance to watch a family-friendly movie poolside at the Dive-In Movie Night at the Cimarron Park Recreation Center. The movie is free, and concessions will be available, so it’s sure to be a night of fun for the whole family. August 2-4: Don’t miss out on the final performances of George Washington Slept Here at the Dupree Theater at the Irving Arts Center. Delight in a night of laughs while watching this classic comedy in a cozy, community atmosphere. August 5: The Toyota Music Factory hosts Pix on the Plaza presented by Alamo Drafthouse. Beginning at 6:30 p.m., families can enjoy fun and games, like bounce houses and face painting, before the free movie starts at 8:45 p.m. at the outdoor plaza. This week’s showing will be Toy Story 3. August 9: Unwind after a long week with $5 craft brews and wine by the glass at Cool River Cafe’s Thirsty Thursdays. Grab a refreshing drink, and maybe some crispy calamari or Texas blue crab cakes, and shoot some pool on handcrafted billiard tables. There’s no better way to spend a summer day than with a good book. Find your next favorite read at the Friends Book Sales at the Irving Public Library - Valley Ranch. There will be hundreds of gently used books available from the library’s collection so you’re sure to find one or two to read by the pool this summer. Celebrate India’s Independence Day with a full day of celebration of Indian dance, music, and food at the Cimarron Park Recreation Center. The event begins at 11 a.m. and is free, so come on by to admire and learn about Indian culture at this entertaining festival. August 12: Pix on the Plaza continues with a showing of Up at the Toyota Music Factory. Get there at 6:30 p.m. for fun and games before the free movie starts at 8:45 p.m. The Bear Creek Youth Choir will also perform. August 15: Enjoy a beverage with the Geeks Who Drink, a regular Wednesday evening affair, at the Alamo Drafthouse. If you love trivia, then you’ll relish the chance to answer 70 questions in two hours with your team. August 16: Celebrate back to school with the End of Summer Rock N’ Roll Party at the Irving Public Library - West. Kids can grab a slice of pie at the pizza party and then kick back and enjoy a showing of School of Rock. August 17: Get in touch with your creative side at the Paint Party at the Jaycee Park Center for the Arts. All the supplies needed to create your own work of art will be available for just $30. Feel free to bring in whatever drinks and food you’d like for a relaxing evening. Escape from the heat and take part in a Ladies’ Night Out at the Four Seasons Resort & Club. With no cover charge, you have no excuse to miss out on an evening of excitement with drink specials and player’s choice of cards and games. August 24: Try your hand at some challenging trivia questions while savoring a tasty brew at the Brains & Beer Trivia Night at Champps Kitchen & Bar. You can even make this your regular Friday night haunt, if you’d like, as this event is offered every Friday. August 31: Celebrate the last day of August with a night of Laughs by the Lake at Lake Carolyn in Las Colinas. Spend an evening by the water, listening to comedians and laughing with friends at this free event, which features a food court and beer vendors. There’s no better way to say goodbye to summer!